These are the references directly referred to in the book with a "ref n" annotation. This is the guide, 450 pages describing everything you need to consider for service management end-to-end across the business – the gold-standard best practice. It occasionally reveals its IT roots. 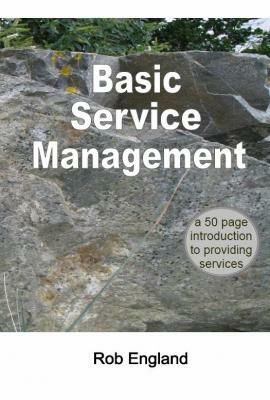 If you get serious about service management, buy it. Carnegie Mellon University developed the CMM models for measuring process maturity. Most of these models are IT-centric. One model, the CMMI-SVC, is not specific to IT. 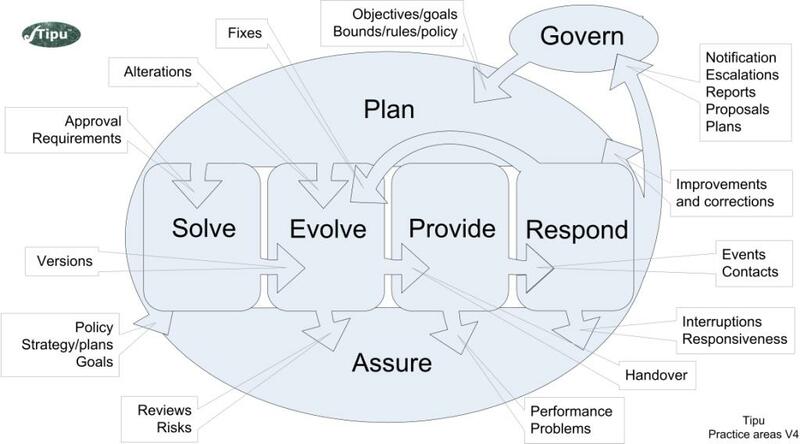 It is a generic model for providing services (though much of the talk about it is IT-oriented). CMMI-SVC is an excellent body of knowledge, comprehensive and well structured. It is also free to download, and you can certify your organisation against it. …which is still in print. In addition, the study of product management overlaps service management a great deal (products and services being ends of the same continuum remember) so there are a bunch more books on that topic. …are useful only if you are an Information Technology service provider, in which case they are pretty good (if expensive). For IT, the five core ITIL books are the generally accepted “standard” approach to service management. …which is a dense, heavy book describing business strategy for the provision of IT services. There are one or two original ideas of the author’s in Basic Service Management too, first published on Core Practice, He Tangata and The IT Skeptic. First, Break All the Rules: What the World's Greatest Managers Do Differently, M Buckingham and C Coffman, Simon and Shuster 1999, ISBN 0-684-85286-1. We aren’t talking about over-the-counter “may I help you?” service, the focus of a number of books. Those books tell you how to develop the customer service interface, the experience of contact.